Do you have the perfect ring, but it just doesn’t fit perfectly? There are solutions to this very common problem. They’re called “Sizing Assistants”. 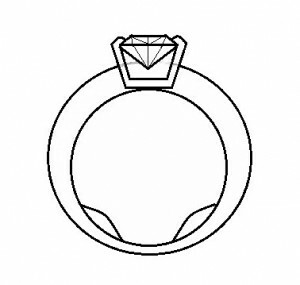 These items help to keep a ring from twisting on your finger. Opens three sizes larger to go over a knuckle. Available in 14K and Platinum, not 18K. Has a safety bar in the event of accidental opening. Can lock a half of a size larger. Especially good if your fingers swell from time to time. Opening is done by pulling on the top of the ring and locking device “pops” open. Easy for rings with a head that stands up or has a large top. 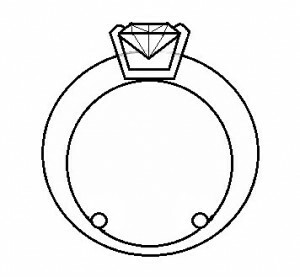 Flatter rings can be more difficult but a plastic “puller” device can be provided to aid in opening. 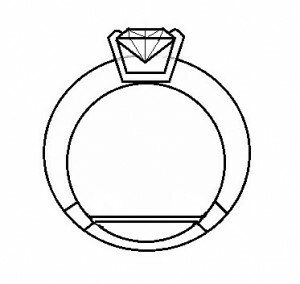 This is a finding that can be installed on your ring. The finding has a tube and heavy wire. 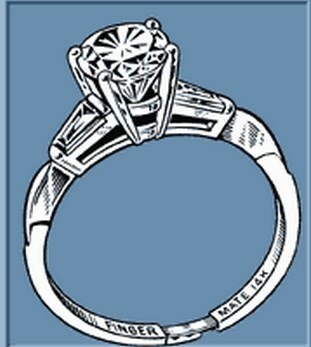 The jeweler puts two grooves on the ring shank, at about “5:00 o’clock” and “7:00 o’clock”. 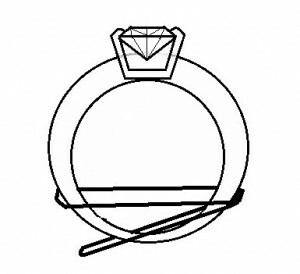 Then the tube is soldered into one groove, which pivots, and the wire “snaps” into the other groove after the ring is put onto your finger.